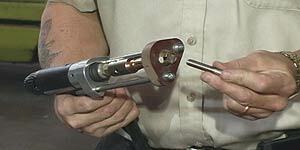 Stud Welding Equipment, Stud Welders, Weld Stud Fasteners, Parts, Stud Welder Rentals & Repairs. Weld Stud Metal Fasteners are used for Naval Shipbuilders, Construction, Oil Field, Insulation Installation, Aerospace, Signs, Automotive, Manufacturing Companies, Steel Fabricators and many other industries. Read more about why Stud Welded Fasteners are better. 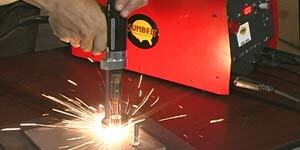 Sunbelt Stud Welding is approved to sell to all branches of the military. 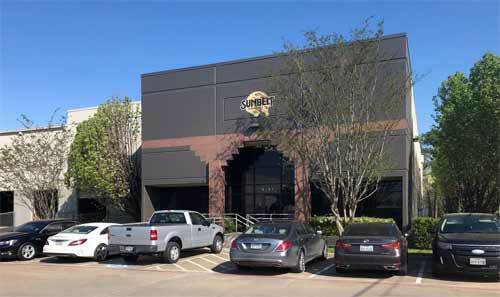 From our headquarters in Houston, Texas we ship our products "coast-to-coast" and internationally. Our customers are located across the United States, Canada, Mexico and throughout the world. Call us, 1-800-462-9353, to talk with a stud welding professional during business hours or request a quote or information any time by contacting us online and a Customer Service Representative will be in contact with you as soon as possible. Stud Welding is a versatile, one-step metal fastening system. It is an instantaneous welding process in which a metal fastener is end-joined to a metal surface by creating a high quality fusion weld. There are two types of stud welding processes; Arc and Capacitor Discharge (CD) Stud Welding. 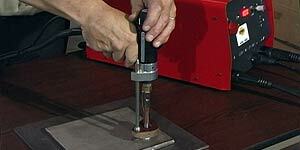 Arc Stud Welding is used for large diameter fasteners welded to rougher and/or thicker base metals. Capacitor Discharge (CD) Stud Welding is used for small diameter fasteners welded to thin base metals.